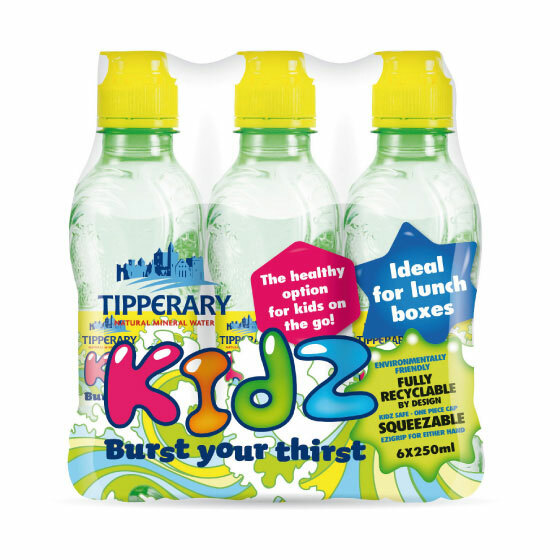 Tipperary Kidz Natural Mineral Water offers the same superior quality in an easy to hold bottle with sports cap, perfect for kids’ outdoor activities and lunch boxes. 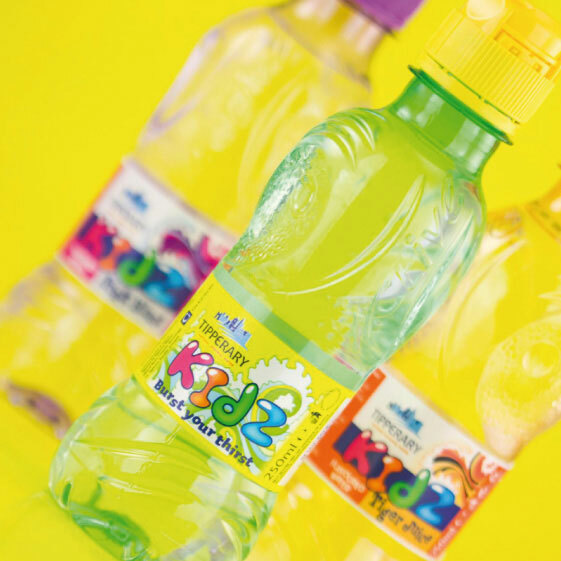 Available in a compact 250ml format, this is a family friendly product and a healthy alternative to artificial soft drinks and sugar-rich juices for on the go children. 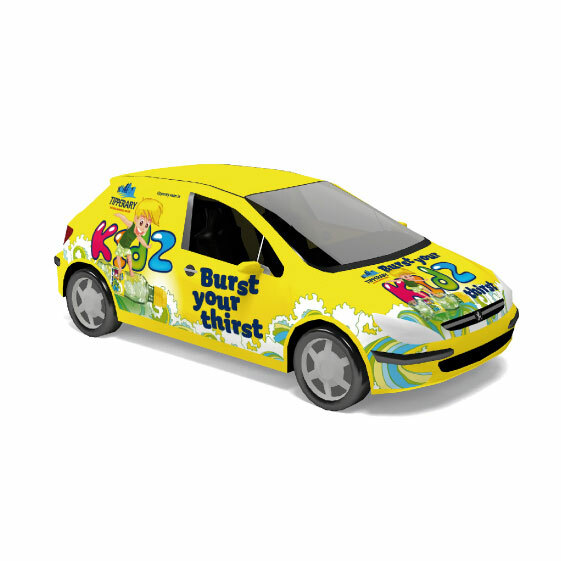 Because Tipperary Kidz had been performing well before the redesign it was important to keep the equitable elements of the existing design. 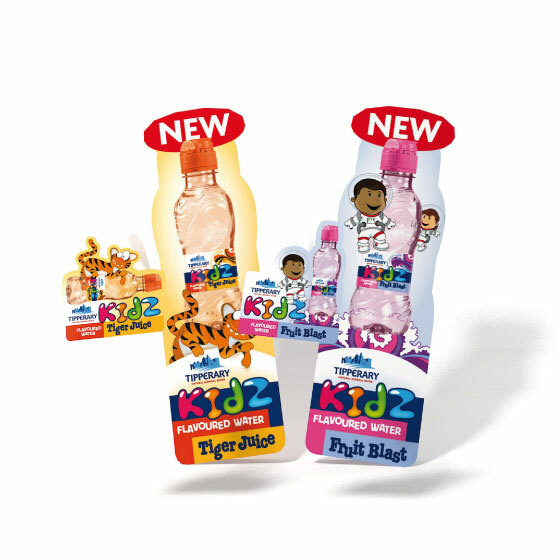 This meant refining the bubbly, colourful ‘Kidz’ logotype and integrating the new Tipperary brand as an endorsement. 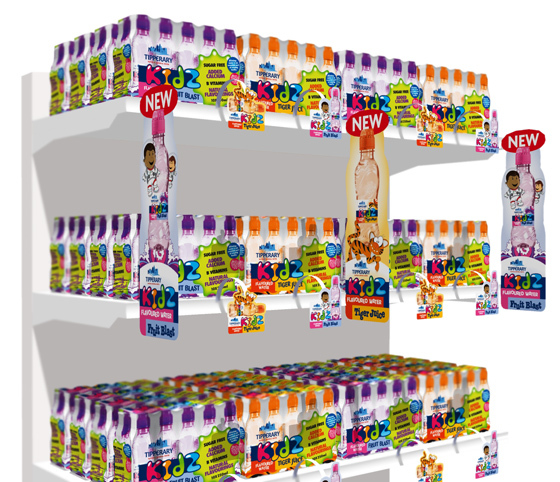 A line extension into flavoured waters and accompanying POS materials followed the new design closely.